lured me back into action! Absolutely everything that could go wrong did, including my not used for so long glue gel going all runny and showing through the image right on the face! I was up until the early hours colouring another image then this morning the camera battery was dead. I think someone is trying to tell me something!! I decided to make an Origami gift box, I'm sorry I can't remember where the instructions came from, only that I googled it and found it. Made from 2 12x12 scrapbook papers and the lid is all furry and very tactile! 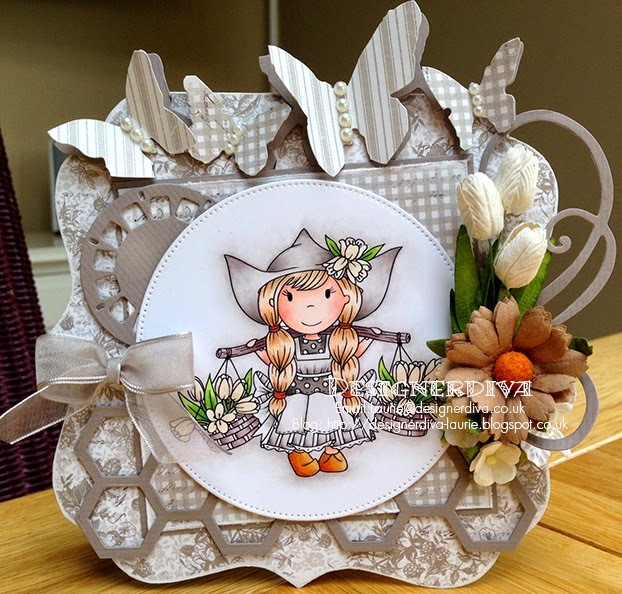 The bow is using the amazing ribbon from Stampin' Up! which is just awesome, I have several colours and I wish I'd bought them all. to see all the new release and what the talented team have done with them, there are prizes to be won and all sorts of fun. Right that's it from me, I'm not going to promise I'll be back soon as this glorious weather is keeping us busy at the seaside and I can't keep up with life in general but I do hope to keep making the odd appearance!! Well hello strangers, I went and got myself in a right old tizzy with my computer and blogging! I finally got a new computer but as of yet I don't know if all my files (including my digi images and everyone's email addresses) can be rescued from my old one! I should know by Friday. I had to get a new email address as mine wasn't working and to be honest I was (and still am) totally fed up of the whole thing. I should have posted this card on June 30th and I should have announced the winner of all the people who commented on my MAWTT birthday post before now too! So better late than never I hope. Now the card that is so late I've got a nerve even posting it!!! I had to make myself a new watermark and for the life of me I can't remember how I did the other one, this one is a bit tricky to maneuver!! It looks the same so hey ho. 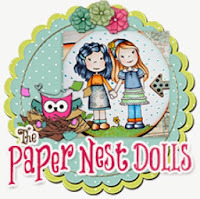 Papers are Maja and the cute Paper Nest image is coloured with copics. 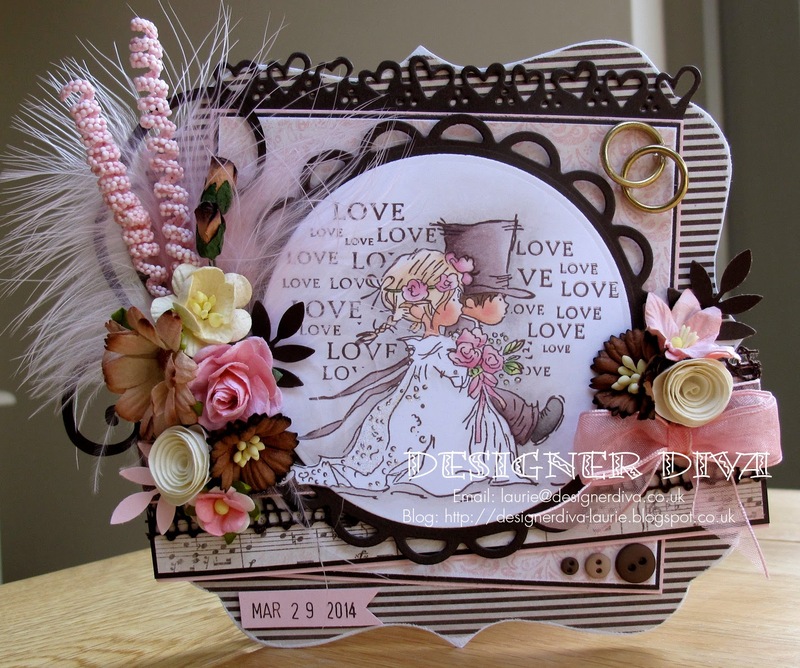 An assortment of die cuts and a few flowers. That's it from me, short and sweet, goodness knows when I'll be back but I hope it won't be too long! MOVING ALONG WITH THE TIMES 5th birthday. I don't know how to do links from here but you can find a link in my sidebar that will take you straight to the challenge blog for all the info you need re the new challenge and the amazing prizes (and yes that's plural) that you can win this week? We have loads!!! 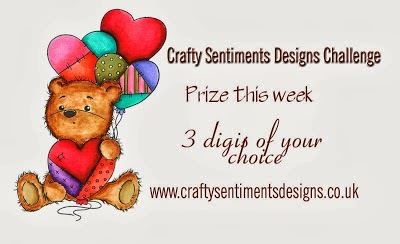 Also there are lots of prizes up for grabs on individual DT members blogs, you just need to make sure you comment on every blog hop post to be eligible to win. 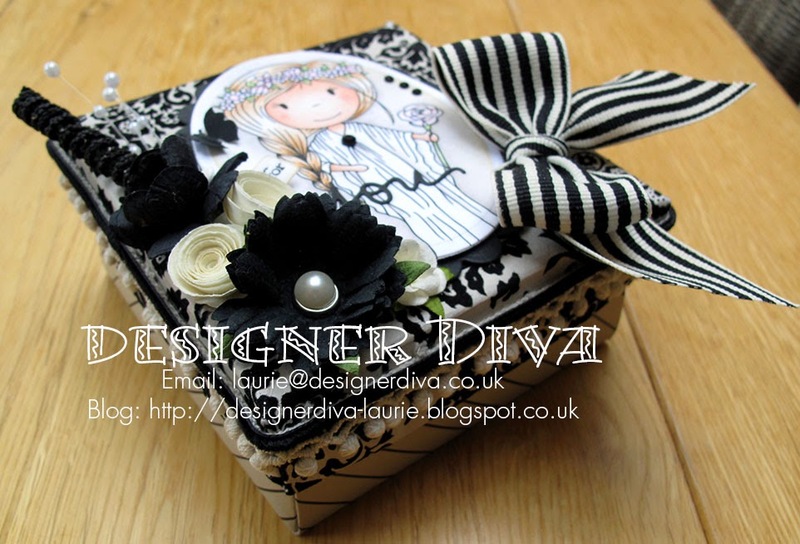 I have a fab little gift for one lucky commenter which consists of my favourite things. I don't want to give too much away it's a surprise!!! 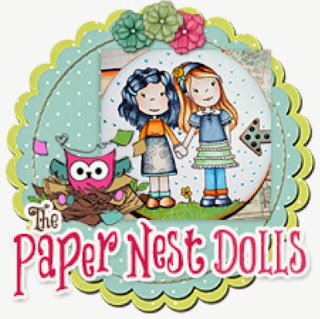 Unfortunately I've not been able to access my card ( which is no longer in my possession) so to showcase Paper Nest Dolls who are sponsoring us I am reposting a card I actually blogged a few weeks ago.. I'm really sorry about this but there's not a lot I can do!! This is Punk Ellie and she's such a little cutie, great to colour in. 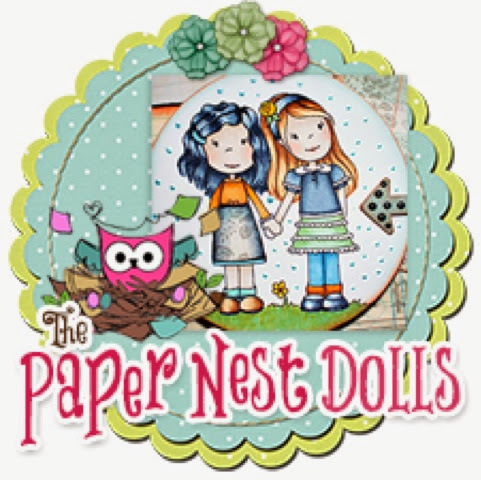 One of the prizes on offer is 3 of these super Paper Nest Dolls Digi images and there are some fabulous ones to choose from!!! To be eligible for the Prizes you must visit all the blogs and collect a letter from each. 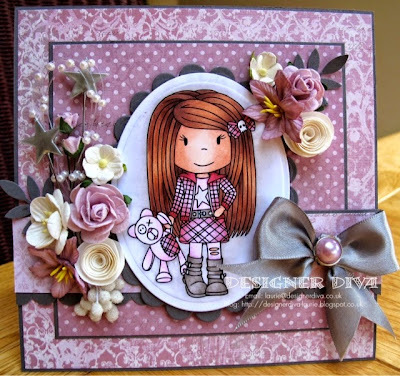 Then email Hazel at didosdesigns@yahoo.com with the word you have made with Blog Hop Word in the Subject Line. You must send the word to us to be in with a chance of winning!!!! Each DT Member will announce their winner on their own blog from the comments. Well I now have a new computer to investigate buying, hopefully all my files can be rescued especially my digi stamps!!! Hello again lovely people, my presence here is few and far between lately, I'm just not feeling it anymore and the bad news just keeps coming this year! Roll on 2015!! As much as I'm not creating I still adore these gorgeous images from Saturated Canary and do still manage to buy more! 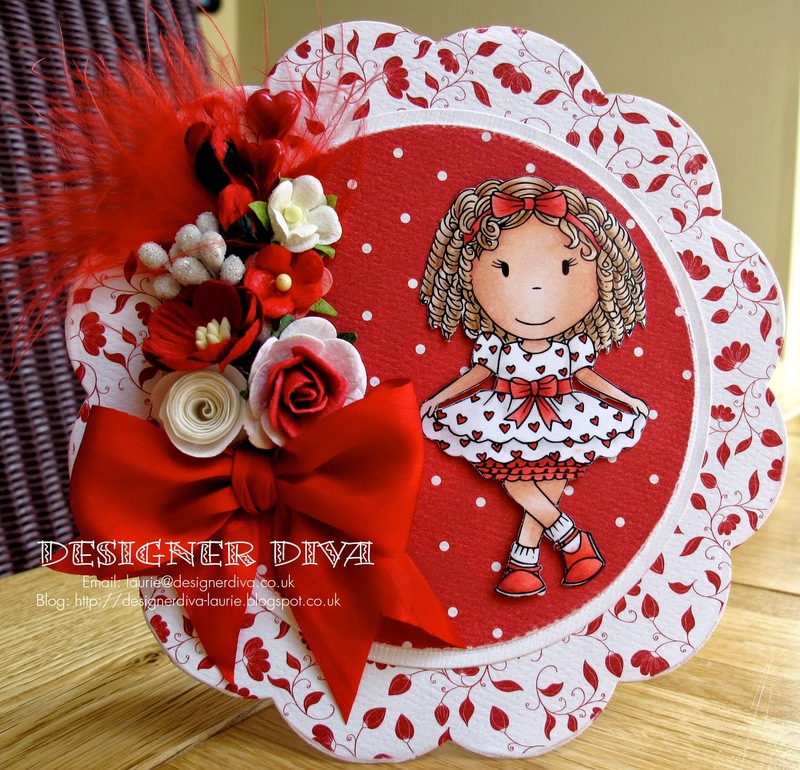 This one I have had for a while but yesterday I decided to take a little look over Krista's shop and wow lots of new images I hadn't seen popped into a basket, maybe it will give me the kick up the backside I need to get back in any sort of routine!! The beautiful papers I've used before, they're a Nitwits pad from LOTV called Bare Necessities, my favourite embellishment and now trademark flowers from lots of different places and the 'Cherish' is a metal word I've had for ages and I gave it a coat of Guesso before painting it with acrylic paint. and you can find all the details you need and some fantastic inspiration from my talented teammies over at the main challenge blog. Morning Peeps, if you're surprised to see me here join the club cos I am too! Instead of using this Mad Hatter image I should have used a white rabbit because I've spent the whole year so far (only nearly half way through it) running around shouting 'I'm Late I'm late"! I've been back in hospital and gone back to work (ouch!) and generally achieve nothing most days despite flying around like a lunatic. A bit of card making therapy would be ideal if I could fit it in. 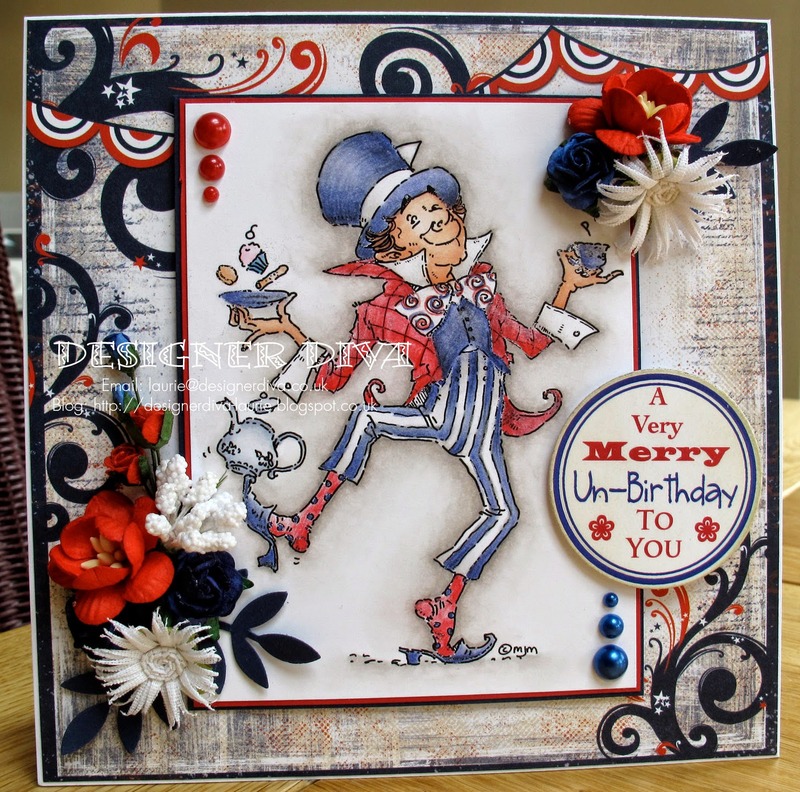 Using the fabulous Mo Manning's Mad Hatter which I've been meaning to colour for AGES!! Like I said I made the sentiment on my computer (which only just decided to work again today)You could use this card for any occasion but I thought I'd use it as a belated birthday card, I have missed so many of my friends birthdays this year I should have made this card in bulk! I coloured the red and blue in pencils as I really struggle with both of these colours in copics, I can get lighter versions but not the depth I wanted. The papers are Bo Bunny, I've had them for ages. I was going to add some bunting but I thought as bunting was printed on the paper it would be overkill to add more. Check out the main challenge blog for all the details and some gorgeous inspiration from my talented teammies this week. That's it from me, I have 10 ladies for supper tonight so it could get messy! I'm so late with everything again, sometimes I don't know why I bother. Life is not going to plan this year. I did have a fabulous day at Sir Stampalot on Friday with some great mates and I made some new ones. Louise, who took the class was awesome!!! I love what we made, though true to form mine isn't finished!!! Any way enough with the chit chat I'm already so late with this. How much do I love this little stamp? She's so cute she will have to have another outing soon. Which I'm sorry didn't make it up on my allotted day, and this is me trying to do better!! Good Morning lovely people, I hope you are all well . My this year is flying by it must be my age!!! 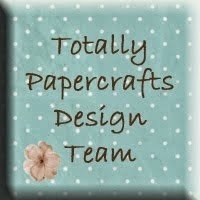 I just can't get my head around crafting and blogging lately, I have been missing in action so long, I thought I would have been back in a routine by now but I'm just not feeling it!! You can't beat a bit of Frank Sinatra!!! 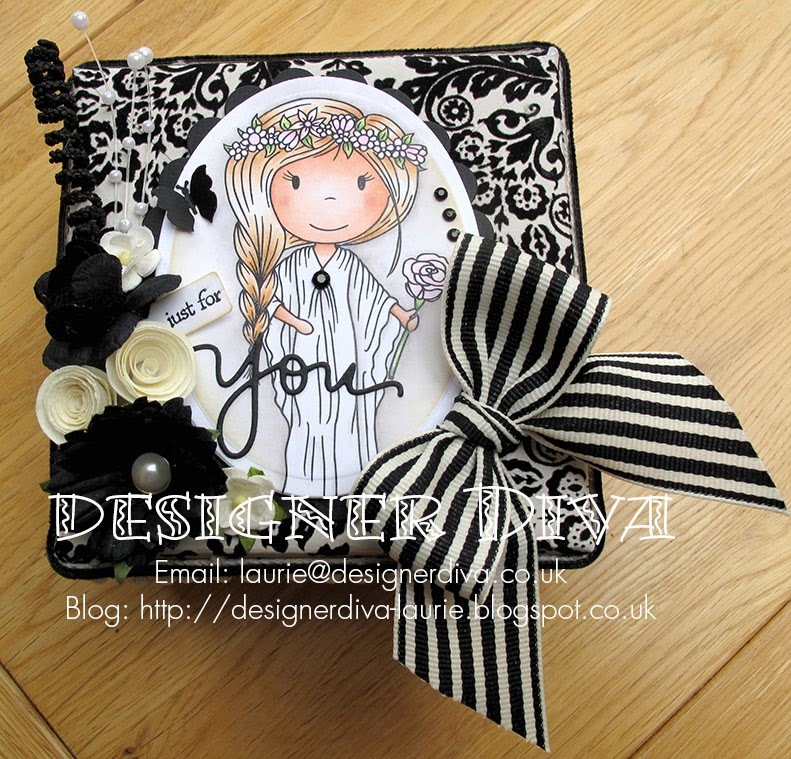 I've used some gorgeous My Minds Eye papers that I've had for a while and you can tell from the date of the wedding I added to the card, I made this a couple of months ago. gorgeous inspiration from my teammies. I started my blog in January 2011 after spending hours trawling through everyone elses, I didn't think I could do it properly and I was right but I've had a lot of fun learning! Thank you for taking the time to visit me, I hope I can return the compliment.